The Cardinal Chorale was organized by Mr. Snyder in 1995, and based on the sound of Fred Waring’s renowned Pennsylvanians. Since its founding, 627 high school and collegiate singers have raised their voices in song as members of the Chorale. The twenty-fourth edition of the Chorale will meet for the first time at the Cardinal Chorale Music Workshop, held on the campus of Muskingum University, July 21-28, 2018. Performance invitations began with a December, 1995 concert at the Columbus Convention Center. Over the ensuing years, the Chorale has been invited to sing for five professional conferences of the Ohio Music Education Association, two summer conferences of the Ohio Choral Directors Association, five state vocational education conferences, a regional vocational education conference, the rededication of the Statehouse, three gubernatorial inaugurations, the state funeral for former four-term governor, James A. Rhodes, and the funeral of William J. Brown, Ohio’s Attorney General for twelve years. 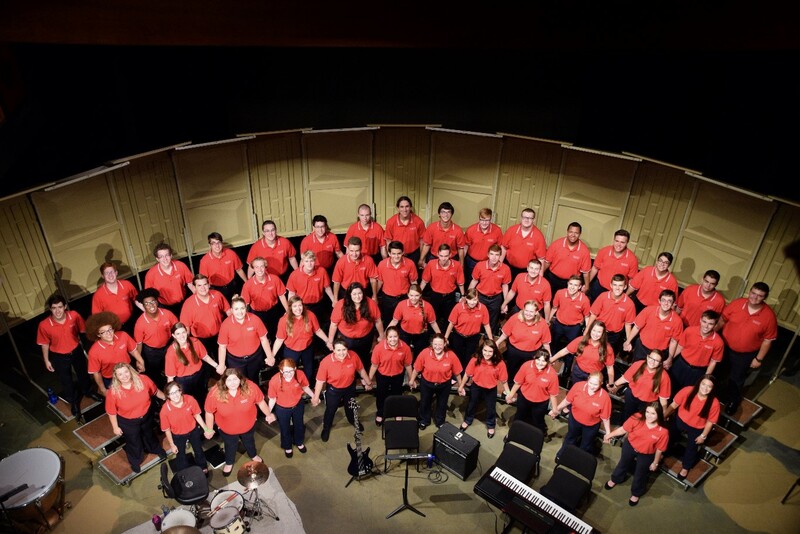 The Chorale has taken its music to the campuses of Capital University, Muskingum University, Kent State University, Ohio University and Penn State University. In the summer of 1998, the Chorale delighted audiences on a concert tour of England, Wales and France. A performance for the Fred Waring Elderhostel Chorus in the summer of 1999 led to an invitation to join former members of Fred Waring’s Pennsylvanians in June, 2000 for a memorable concert at Penn State celebrating the 100th anniversary of the birth of Mr. Waring. In June, 2002, the Chorale was invited to Lima to sing for the celebration renaming the campus there in memory of Governor Rhodes. That fall, a gubernatorial invitation gathered the Chorale to sing for the state’s September 11 observance at the Statehouse. Members of the Chorale served as artists-in-residence for All-Ohio Choral Festivals in 2008 and 2009. In 2012, the sixteenth Chorale shared the stage with Leonard M. Thomas, former choral director, arranger and accompanist for The Pennsylvanians, in a concert saluting Mr. Thomas’ contributions to American choral music. An invitation to sing on the prestigious concert series at Lakeside on Lake Erie in 2000 provided the impetus to launch summer Chorale tours. Two-day trips grew to three days in 2005, to a four-day tour in 2008, and to six-day tours beginning in 2009. Summer tours have taken the Chorale to Baltic, Bellevue, Bexley, Bolivar, Bucyrus, Cardington, Cincinnati, Columbus, Coshocton, Detroit (MI), Dublin, Dover, Elmore, Flat Rock, Fostoria, Fremont, Fulton, Jamestown, Lakeside, Lebanon, Lewis Center, Logan, Marion, McArthur, Millersburg, Mount Gilead, Newark, New Concord, Oak Harbor, Ottoville, Portsmouth, Put-in-Bay, Roscoe Village, St. Marys, Sandusky, Sebring, State College (PA), Westerville, Worthington, and Zanesville. For information on planning a Cardinal Chorale concert in your area, contact the Chorale office: (740) 623-0554.